While summer starts to fade away I find myself thinking about the upcoming ski season and then this property caught my eye. 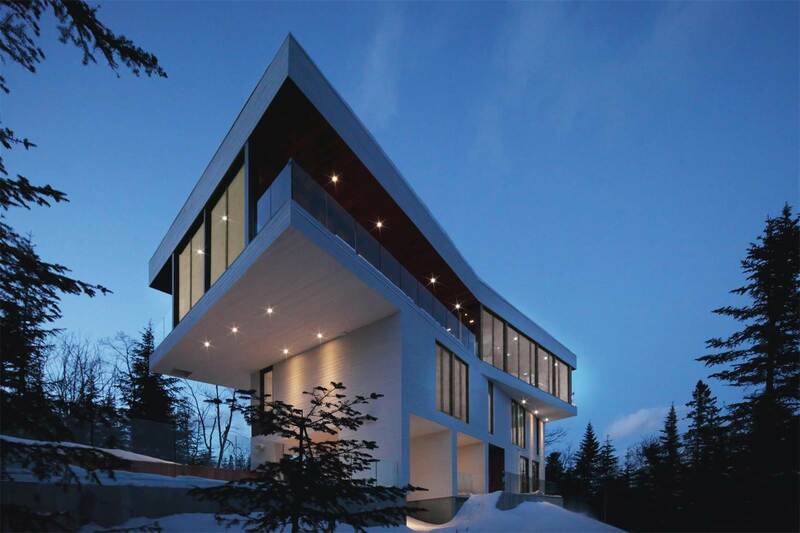 In a prime location near amazing ski hills, this modern piece of architecture sits atop the St. Lawrence River in Petite-Rivière-Saint-François. This home was designed by Bourgeois Lechasseur and has 3 bedrooms and 2 bath. It’s currently on the market for $1,988,000 with Profusion Realty Inc out of Quebec. You can view the full listing here or give them a call via 418.998.3219.